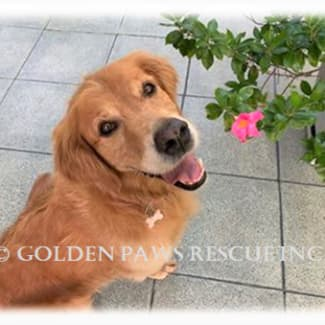 A small dedicated Golden Retriever rescue offering to assist with rehoming, surrendering and networking of Golden Retrievers needing a second chance in Queensland. 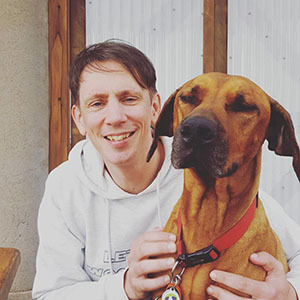 If you are interested in one of the dogs in our Adoption Program, we ask that you complete an "Expression of Interest" form which is located on our website. Please complete all areas and email back to us at goldenpawsrescue@bigpond.com - we will then contact you to discuss your application. We require this information for any potential adoption. Gorgeous Stella is an 8 year young darling girl who just loves to be near you. This lady is looking for a family that is home a lot and will include her in every aspect of their life. She also loves the company of other doggies. Stella has been road tested with other dogs and cats whilst in care, and has shown no signs of aggression. She loves to go for walks and will happily spend time by your side when she is home. She does need assistance getting in and out of the car when going for a leisurely drive. Stella does pull a little on lead, so we have invested in a harness which makes walking a breeze. This lady is also storm phobic and will need to have access to her home when the weather is poorly. Stella has her own thundercoat which does help her during this time. Overall, this lady is just divine. She sleeps inside and is house trained. She also eats like a lady, very slowly and dainty! Stella is best suited to a family with older children where she is the centre of attention. She loves to be loved and we want that for her! Stella has been desexed, vaccinated, microchipped, heartworm and intestinal wormed, flea and tick treated and her adoption fee is $550. 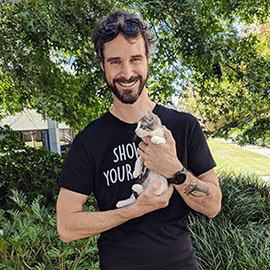 Stella is available for adoption in Brisbane, Sunshine Coast and Fraser Coast. Stella is not available for adoption on Gold Coast, interstate or overseas. 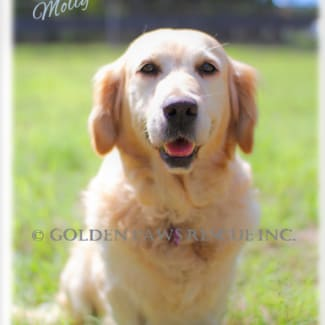 If you feel Stella is the lady for your family, please complete the Expression of Interest form which you can download by clicking: https://www.goldenpawsrescue.com.au/forms (this directs you to our website) and email to us. Email details are on the form. This is a four page form which gives us information about you as a family for Stella. You need to complete this form otherwise we won't contact you. ********** If we do not receive an Expression of Interest form completed from you when you email us about Stella, we cannot contact you. We require this information to help us determine the best possible home for Stella. Just as you would like to know more about Stella, we need to know about you too! If you are unfamiliar with our adoption process, please check out this information which is listed on our website under "Our Adoption Process" tab. We look forward to receiving your Expression of Interest Application. !